/ Kanye and Trump on MRE packs. Really big on military. An inspiration to the troops. RE: Kanye and Trump on MRE packs. is that a country in africa???? Packaging has been like that for 10 years. Good grief, it really is a disease. (02-12-2019 09:18 AM)UofMstateU Wrote: Good grief, it really is a disease. Trump ought to put the Democratic 2020 candidates on there. It would win him votes. What's the saying? Meals Ready to Eat. 3 lies in 4 words? Man it does look like Trump and Kanye though lol. But yeah the packaging has been like that for awhile. (02-12-2019 07:32 AM)gdunn Wrote: Packaging has been like that for 10 years. 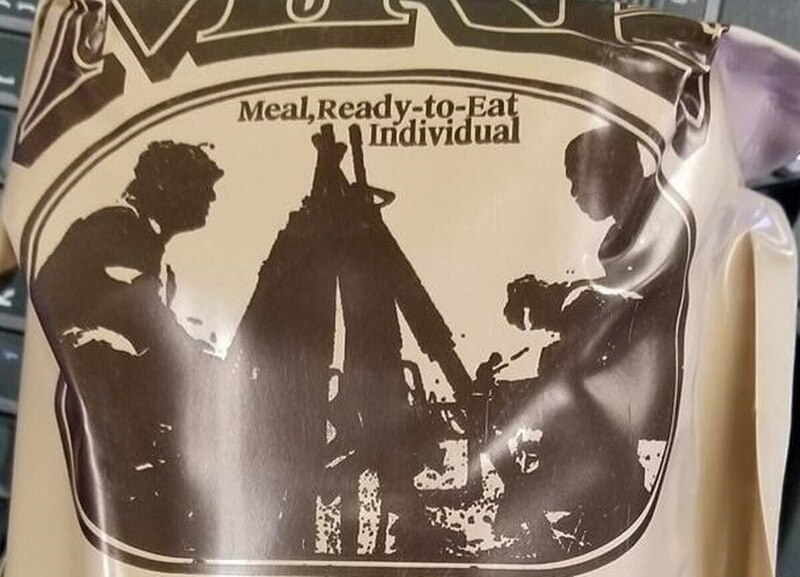 Somebody is a prophet to put 2 future presidents on MRE packs. Nah, but TDS makes people see/think things that are simply not there. Threads like this make me wish you really could slap the stupid out of people. (02-12-2019 02:02 PM)Kaplony Wrote: Threads like this make me wish you really could slap the stupid out of people. I ain’t got that kinda time or energy. lol, you'd never stop slapping. Stupid should hurt. I mean, that package design is from 2006. People simple abandon all common sense because orange man bad.